Before you can proceed with payments for EIS, you will need to register for an account with PERKESO. 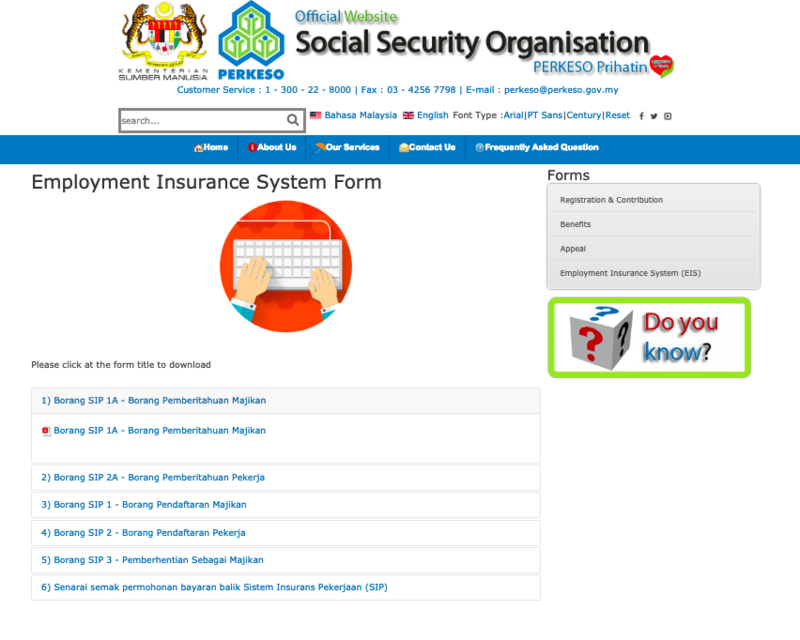 To download the necessary forms, you can head to Employment Insurance System Form page in PERKESO website. For fresh graduates (or 1st time employment who hasn't started contributing SOCSO), do complete form SIP 2 (Borang Pendaftaran Pekerja) too. Kindly submit these completed forms to any nearby SOCSO branch.